Floral prints are in full bloom! You don’t need a green thumb for this glorious glam trend. Floral prints are simply pretty. 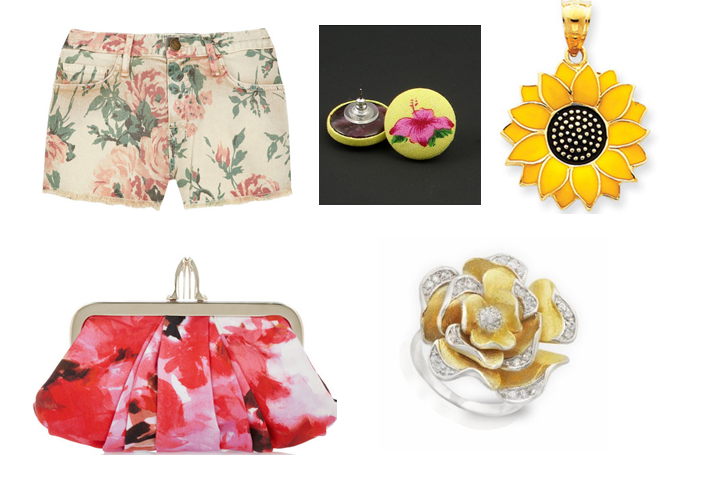 As an alternative, accessorize with floral prints by rocking a flowery print clutch or floral inspired jewels like a chunky rose shaped cocktail ring, a sunflower pendant on a simple necklace, or even hibiscus print earrings. You don’t have to be a hippie to support the flower power movement. Floral prints are peaceful and sweet. Go deeper into the theme and spray on a fabulous fragrance with strong floral notes. Find ways to stay trendy without being part of the crowd. Use current trends as inspiration to create your own amazing style! Categories: Fashion and Beauty, Urban Aristocrats, What's Hot in N.Y.C.